I used a die cut machine to cut some of the felt into flower shapes. Then I used scissors to get the rest of the felt into more succulent shapes. 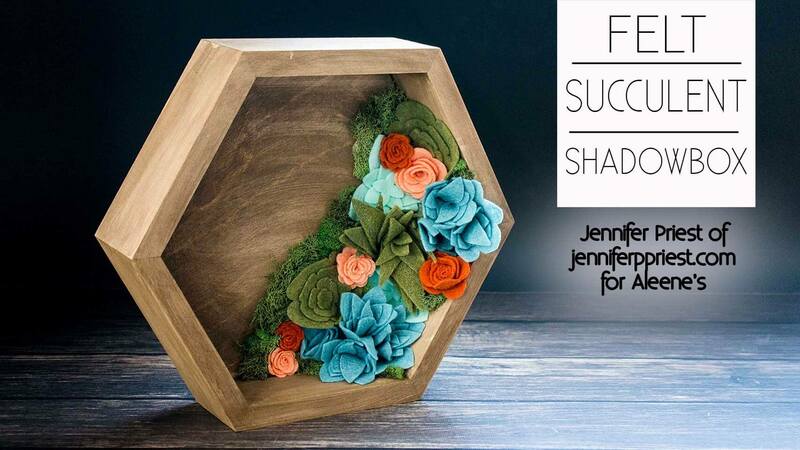 If your wood shadowbox is natural, stain it to give it a more rustic, aged look. Layer the felt shapes to make succulent shapes. 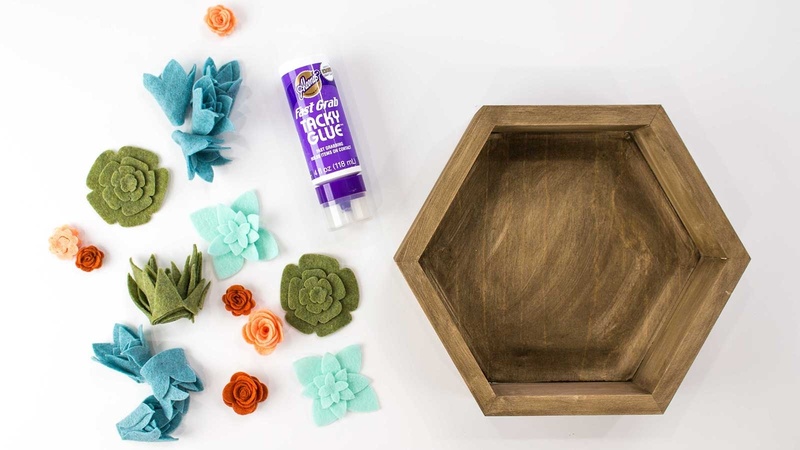 Adhere all the pieces together with Aleene's Fast Grab Tacky Glue. 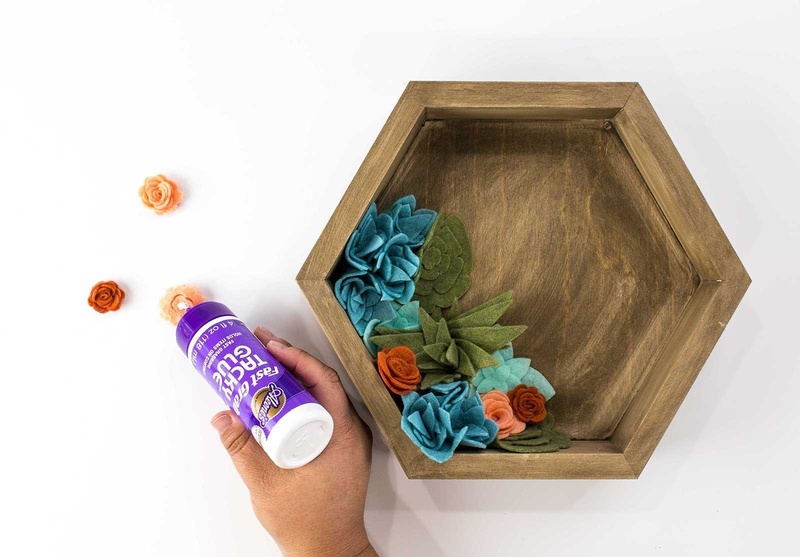 Apply a small dab of Aleene's Fast Grab Tacky Glue to the back of each flower. 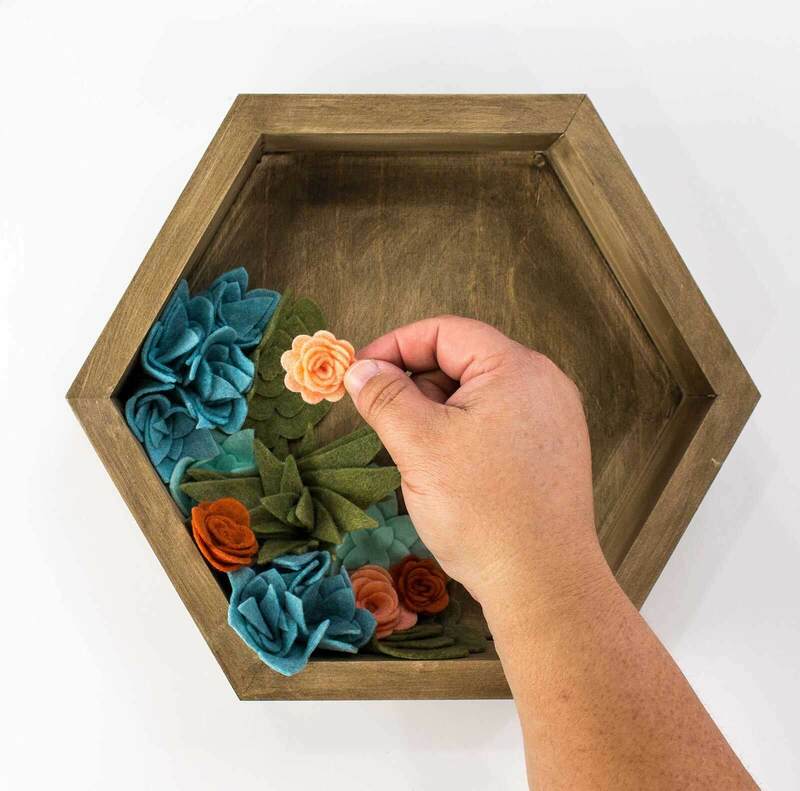 Press the flowers and faux succulents into the wood to adhere. Add moss between the flowers for a more natural look. Allow to dry and display!